So your little boy wants to be a pirate when he grows up. I'm sure he'd love a Pirate theme to his next birthday party. So what's better than his own personalized tee shirt to wear to his birthday party? Complete with a pirate, parrot, pirate ship and Jolly (Roger) flag with his own name instead of Roger. Along with all of that it will say "Shiver Me Timbers!, It be me 1st Birthday". Or whatever age he will be will be substituted for 1st. 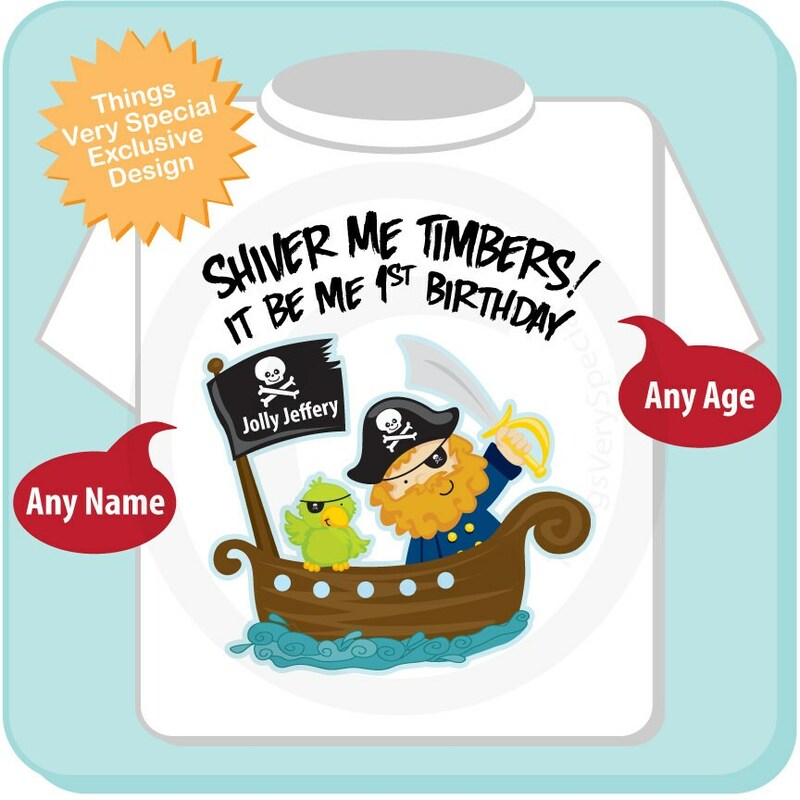 If you prefer we can leave off the Birthday reference and have it just have it say "Shiver me timbers! I now be 1"
It is soooooo adorable & so well made! We love it, thank you! 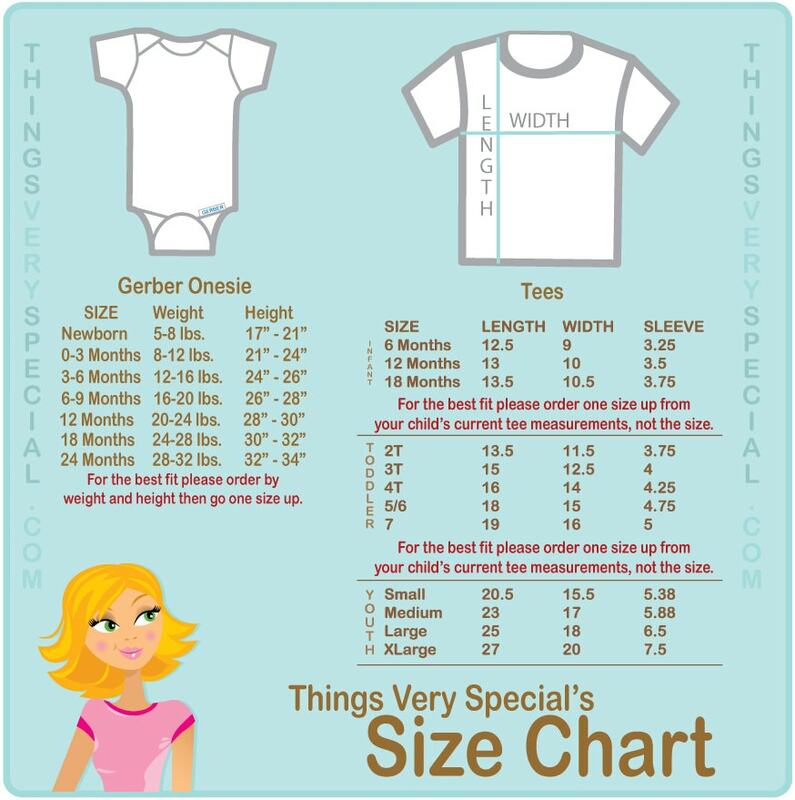 Onesie is absolutely adorable!! Shipping was fast. 100% satisfied!